That the Toronto Maple Leafs are struggling recently is hardly new information — they are 3-7-0 in their last ten games, and Mike Babcock has even shuffled his lines up by rolling out the rare combination of Mitch Marner and Auston Matthews against the Washington Capitals on Wednesday. The team is clearly searching for a spark to rediscover its form from earlier this season, and a report by TSN’s Darren Dreger on some recent going-ons for the front office has fans thinking that a trade may be on the horizon, specifically with the Carolina Hurricanes for a defenceman. Though I don’t think I like it...Kapanen for Hamilton. Who says no? Kapanen goes to his Dad’s signature team, Hamilton comes home and undoes some of the ill fated Kessel trade. Fun narratives for the media to play with. There might even be hockey reasons to do it! The Leafs have been linked to the Hurricanes before, when during William Nylander’s contract holdout, Pierre LeBrun reported on the possibility of a Nylander trade for 23 year old D-man Brett Pesce. Dougie Hamilton and Justin Faulk have also surfaced in trade rumors, as the Hurricanes are reportedly looking to trade defense for offense. The Leafs would seem to be a compatible partner. 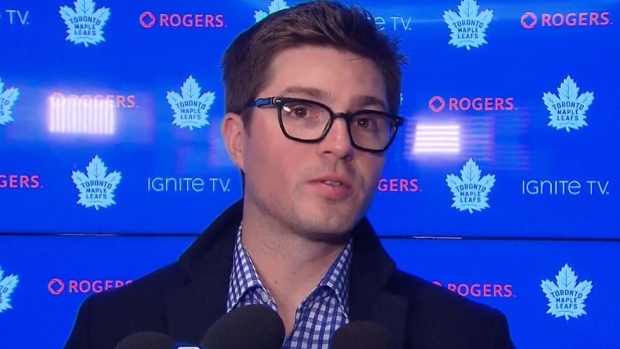 While players such as Nylander and Jake Gardiner have found themselves in hot water with a restless fanbase recently, it may not necessarily be a player as the centerpiece in a trade, as the Leafs’ first-round pick is also reportedly going to be in play.